In the 1940s, even before World War II, pioneering scientific researchers established a significant correlation between a single nutritional deficiency (ascorbic acid) and cardiovascular disease. In 1989 the World's only two-time, unshared Nobel Prize-winning scientist and his associate continued that early research, formulated a scientific theory for coronary heart disease, and invented a simple, lifesaving, non-prescription, non-toxic cure. In the 20 years since that time medical ‘science’ has failed to acknowledge, investigate, or publish a single study on that theory, while hundreds of thousands continue to suffer and die from cardiovascular disease each year. In the time it takes to review this site the cardiac patient will know more about the cause of heart disease than most practicing cardiologists, but more importantly, he will know how to stop the progression and prevent future suffering. 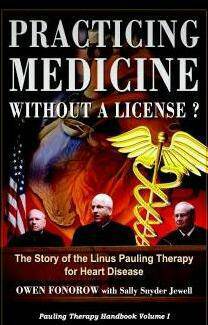 For additional information on the Pauling therapy, there is no better reference than the first and only book ever written about the Pauling theory and proven therapy for heart disease, entitled, Practicing Medicine Without a License? The Story of the Linus Pauling Therapy for Heart Disease, by authors Owen Fonorow and Sally Snyder Jewell. 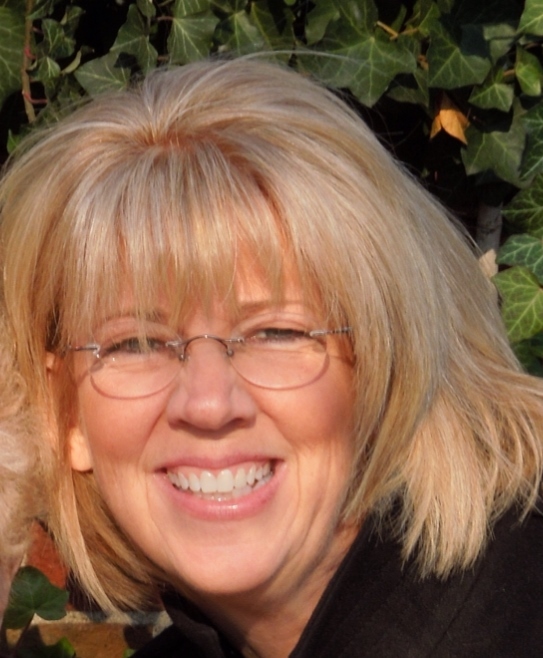 The book is presented in lay terms and includes testimonials from former heart patients using their real names who overcame their disease using the Pauling therapy. This Pauling Therapy Handbook, Volume I contains the specific detailed recommendations made by the twice Nobel prize-winning scientist which have have helped thousands of heart patients overcome their disease. A common theme in the book is that these brave souls who adopted the Pauling therapy quickly ended their pain and suffering, just as Linus Pauling predicted. In case after case, recovery occurred soon after the individual abandoned the "old" cardiology and embarked on what was at the time a little-traveled path into the world of orthomolecular medicine. Some of the cases selected for inclusion in the book have now spanned more than 10 years. Several of these recoveries occurred in patients who had been barely able to arise from their "death" beds. When they strayed from the Pauling path, their disease returned. Their remarkable theory, and its intriguing claim that low-cost Lp(a) cholesterol binding inhibitors will prevent and even dissolve arterial blockages, has, to the great detriment of the American public and in fact the world, apparently gone unnoticed by the pharmaceutical industry, the medical profession and the media. At his last public interview in 1992, Dr. Pauling announced, " . . . we can get almost complete control of cardiovascular disease, heart attacks and strokes . . . even cure it.” Full Excerpts from Pauling's Last Public Interview in 1994. "This disease is the direct consequence of the inability of man to synthesize ascorbate (vitamin C) in combination with insufficient intake of ascorbate in the modern diet." "Since ascorbate deficiency is the common cause of human CVD, ascorbate resupplementation is the universal treatment for this disease." "Further clinical confirmation of this theory should lead to the abolition of CVD as a cause of human mortality for the present generation and future generations of mankind." I have coronary artery disease. What are Pauling's optimal dosing recommendations for this condition? Does he describe any side effects? How soon does he report that results can be seen? How will I know if it is working for me? 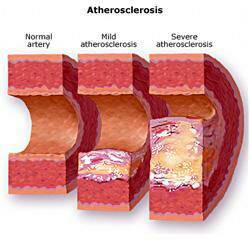 I have coronary artery disease with a history of angioplasty, stents and/or coronary artery bypass grafts. What does Pauling recommend for someone like me and will anything help me to avoid repeat bypass surgery? I have chest pain and I use nitroglycerin. My cardiologist tells me I may have artery blockages and should have a cardiac catheterization to determine whether I may need bypass surgery. I am researching my alternatives to bypass surgery. According to Pauling, can chest pain be addressed by using the Pauling therapy and what are his recommendations for this? Disclaimer: USE TOWER ORTHOMOLECULAR LABORATORIES INC. PRODUCTS AT YOUR OWN RISK. The Food and Drug Administration (FDA) has not evaluated any statements on this Web site. Tower Orthomolecular Laboratories, Inc. does not make health claims for its products. Tower Orthomolecular products are not intended to diagnose, treat, or cure any disease. Tower is not responsible for independent third parties who may otherwise represent efficacy of its products. These individuals are not our agents and do not have our permission. Unsatisfactory products sold in the USA may be returned for a full refund. 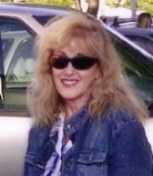 I have a history of carotid artery disease or stroke. Do Linus Pauling's recommendations for heart disease also apply to these conditions and does he make specific dosing recommendations? I don't have heart disease but it runs in my family and I have high LDL cholesterol. I try to follow the American Heart Association diet recommendations to avoid heart disease. According to Pauling, am I destined to develop it no matter what I do, is it really caused by high cholesterol, or does he recommend that I do something differently to prevent it even though it runs in my family? I don't have heart disease and it doesn't run in my family but I have high cholesterol. Am I still at risk according to Dr. Pauling, is artery disease really caused by high cholesterol, and is there a better test (besides a lipid profile) that will tell me my true heart disease risk? I don't have heart disease and I don't have any known risk factors. Do people like me still get it according to Pauling's research? I have read that heart disease is really chronic scurvy and if this is true, what does Dr. Pauling say I should be doing to avoid it? "Every person in America — every person in the world — should be made aware of this discovery. We cannot imagine a valid reason for performing another coronary artery bypass graft surgery, angioplasty, or stent placement as long as there is a sufficient supply of vitamin C and without first trying Pauling’s therapy." Heart Disease Cause and Cure.com recommends the first and only nutritional supplement products on the market formulated around the specific dosage recommendations of Linus Pauling for use with occlusive cardiovascular disease. Pauling and Rath called the nutritional substances that can treat chronic scurvy and destroy existing plaques Lp(a) binding inhibitors. 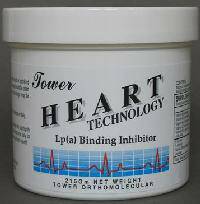 Manufactured by Tower Laboratories Corporation, a company founded by a friend of Linus Pauling, the "Pauling therapy" formula Heart Technology™ has been offered to the general public since 1996. Pauling therapy advocates have over the past 18 years received hundreds of positive reports from heart patients who have self-administered the Pauling therapy formulas. Tower powdered drink mixes are designed to minimize the number of pills that would otherwise be required to achieve the orthomolecular dosages recommended by Pauling. ". . . I have trouble understanding why somebody interested in heart disease didn't think of it 20 or 30 years ago when it was accepted by cardiologists that the primary cause of atherosclerosis and heart disease is a lesion in the wall of an artery in a region of stress. So I asked myself two or three years ago, 'Why should there be a lesion in the wall of the artery?' Animals don't have these lesions in regions of stress. Well, you have the lesions because arteries are weak. Why are they weak? Ordinarily, animals' arteries are strengthened by the deposit of collagen. And you can't make collagen without using up vitamin C. Humans don't get enough vitamin C, so their arteries are weak. And then a lesion forms, followed by the other stages of developing heart disease. THEREFORE, DEFICIENT INTAKE OF VITAMIN C IS A PRIMARY CAUSE OF CARDIOVASCULAR DISEASE. Those who have acute coronary syndrome (ACS), artery disease, chest pain (angina pectoris), a heart attack history, (myocardial infarction or MI), a history of stroke (also a form of cardiovascular disease), peripheral artery disease (PAD), atherosclerosis, arteriosclerosis, a family history of heart disease, high blood pressure, or high cholesterol - and even those who don't - would be well advised to follow this scientist's advice. Others who have done so have typically recovered from coronart heart disease within 30 days on the Pauling therapy, and the majority have experienced significant relief in as little as 10 days. Their stories are now told in the book, Practicing Medicine Without a License? 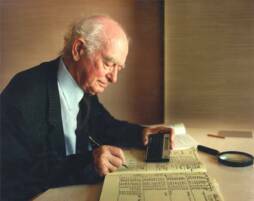 The Story of the Linus Pauling Therapy for Heart Disease, which details the history of the Pauling therapy and includes the testimonials of former heart patients using their real names. The book also outlines Pauling's specific recommendations for preventing and reversing heart disease and explains in lay terms why the Pauling therapy is so effective.